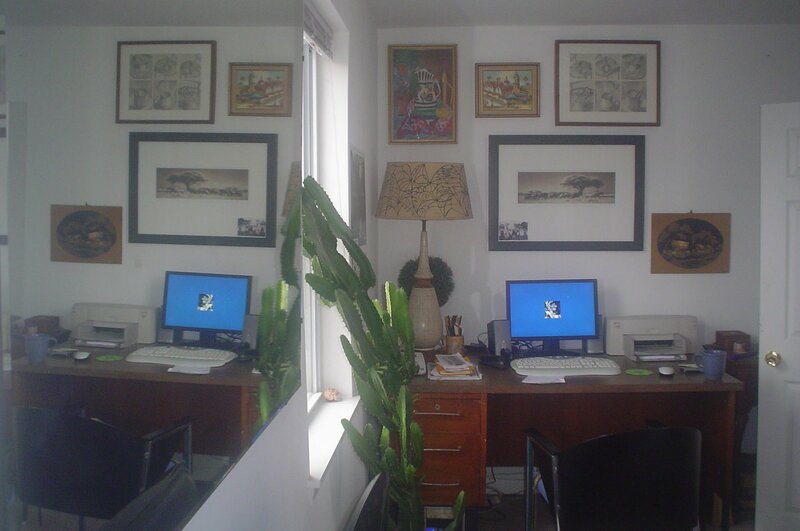 The “office room” is a very long and narrow room on the third floor. This floor has two rooms and these were the only rooms in the house that were decent, when we bought the house. Now I think these rooms are the worst. We haven’t done anything to these two rooms other than put some furniture in them. The second room on the third floor is the guest room. It is tiny. 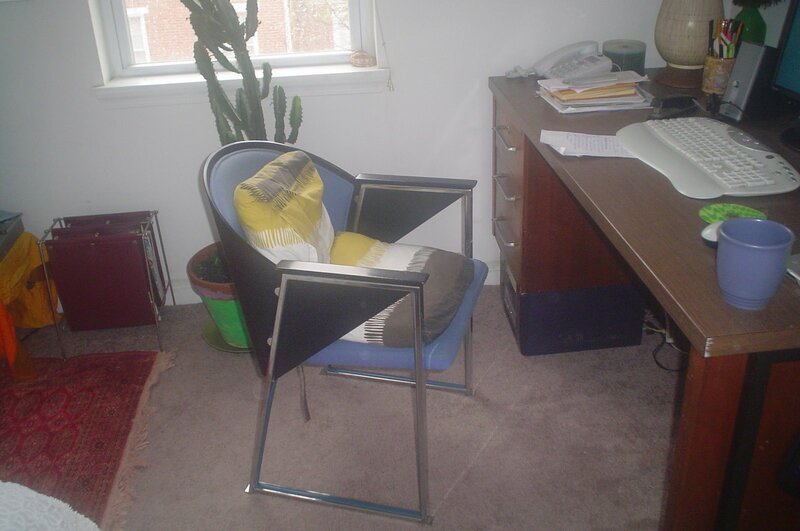 In this picture you can see the fabulous chair I bought on ebay. It looks great and is very comfortable. The cactus is 10 years old! 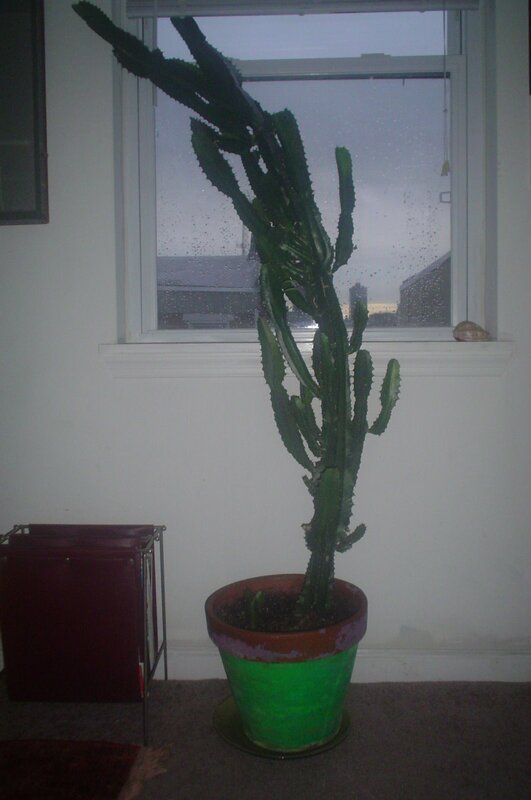 We bought it as a tiny little plant when we first moved to Philly. I sort of injured him (yes it is a “he”) while moving him upstairs and I hope he lives. Kiran kept playing with him so he (the cactus) had to be moved.